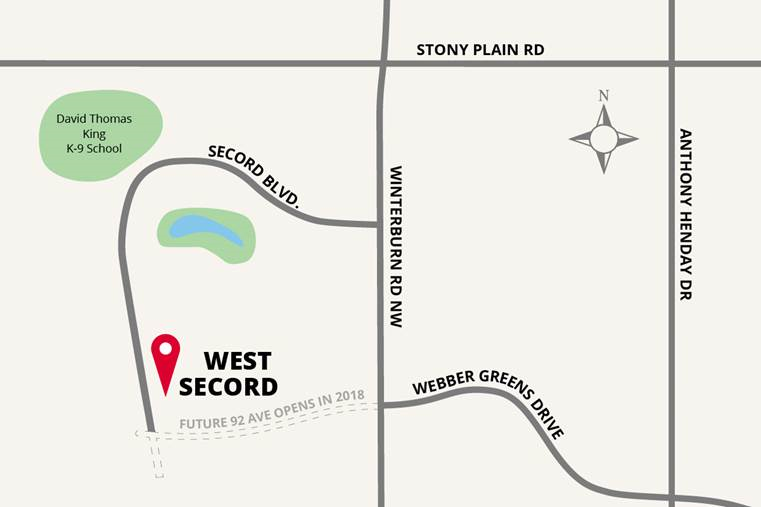 West Secord is located within the thriving Secord community located just beyond Lewis Estates in West Edmonton. We are located at the southeast corner of Secord Boulevard and Secord Promenade. We will be building single family homes and detached garage townhouses. Follow Secord Boulevard for about 3.5 km, past David Thomas King School on your right.